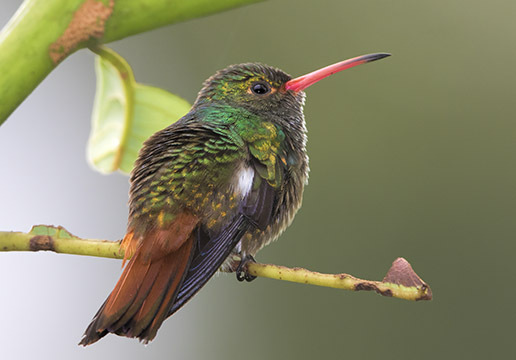 Rufous-tailed hummingbirds and white-naped jacobins were the two commonest hummers in Gamboa, Panama. Both species swarmed aggressively around the feeders we set out, and were very easy to photograph -- aside from their quick reflexes and high speed. The sitting bird at the bottom was photographed in Tatama National Park, Colombia.